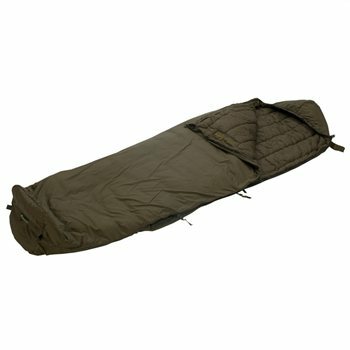 The Carinthia Tropen is a lightweight sleeping bag with an extremely small packing size and minimal weight. Its remarkable feature is its vapour permeability which is very important for hot and humid tropical nights. The Shelltrans shell fits loosely over the inner structure and provides a layer of extra insulation with no cold seams. The construction ensures reserve warmth for cool foggy night. In warmer weather the bottom part of the two way zipper can be opened for ventilation. The hood is equipped with a mosquito net which can be folded out of the flap if required (it is in the front of the bag and stored behind press-stud flaps). The net can be easily attached around the hood with a small zipper as required - this zipper is designed to be non-snagging so you can always get out quickly and easily.